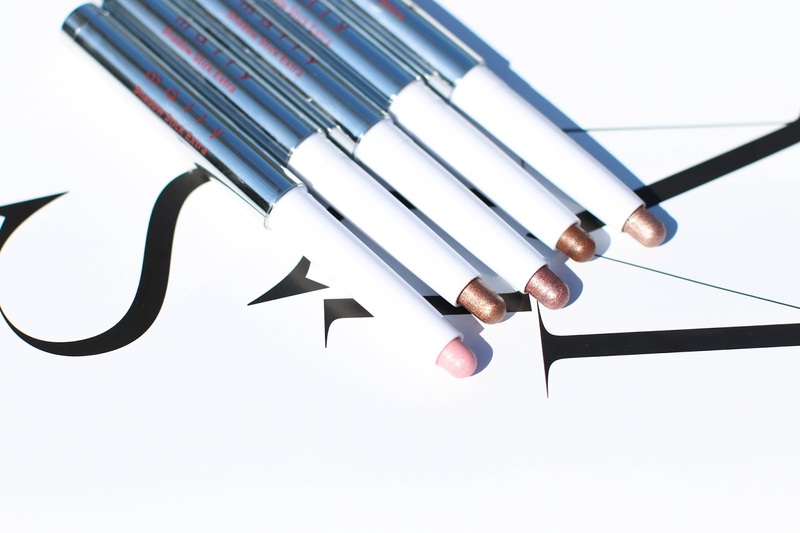 I love a good shadow stick and have reviewed quite a few on the blog (remember this post, this post and this post?). But I have never tried anything from Mally beauty before, and heard that her shadow sticks were one of her best products. I even used to watch her apply them on QVC and was always impressed with how they looked on the lid. Ha! 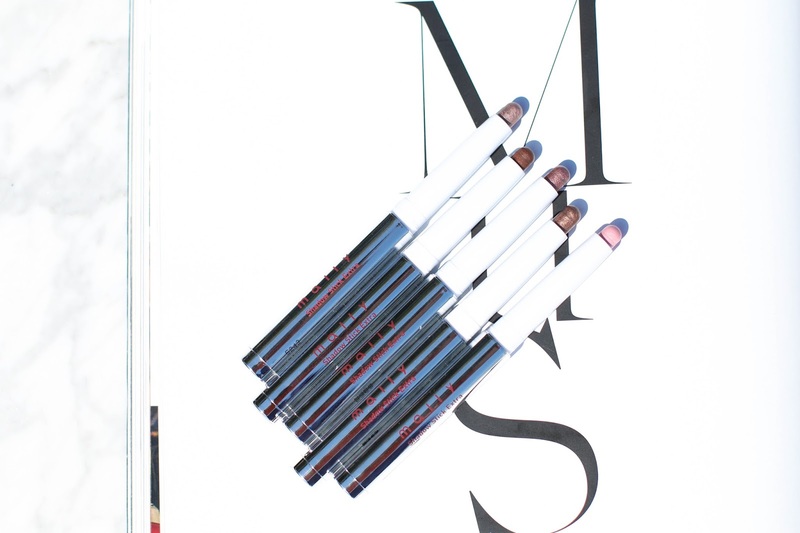 Though they are a shadow stick, I find them to have a thickness that makes them good as an eyeliner too. A smudgy, smoky eyeliner look that is. If you are a neutral lover like myself, then Mally most certainly is talking to us with her shade selections. 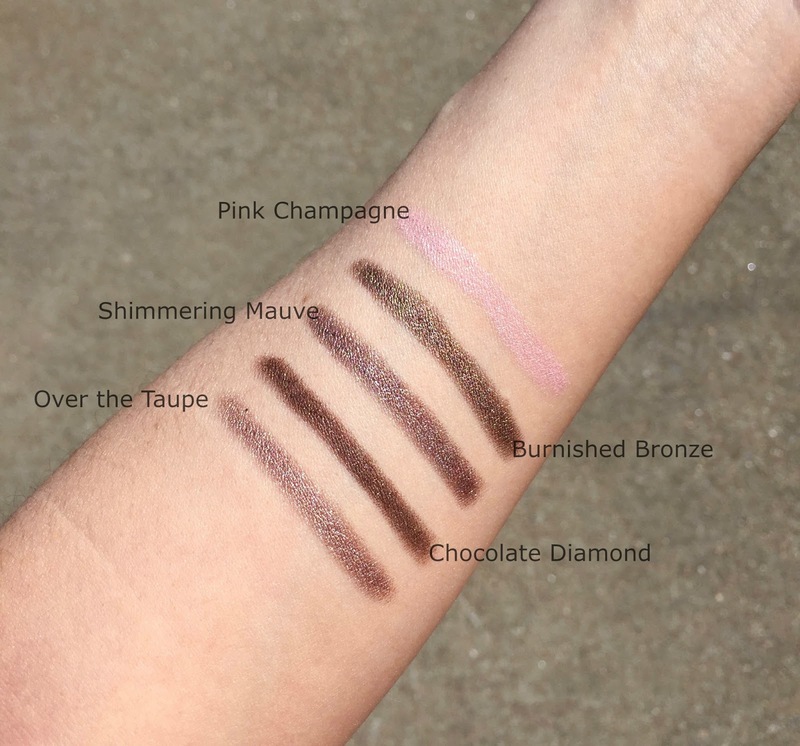 There are so many great ones, though almost all the ones I have (with the exception of Pink Champagne) are bolder than a sheer pale gold or bone color which can often need another shade paired with it. It should be no surprise that Over the Taupe is the one I use the most - I love how it has a more silver finish that looks great for day or night. The initial feel of the stick is harder than other formulas I have, but I don't always like a super creamy texture because it can mean that it will crease easily. Creasing is not an issue I have to worry about with these Mally sticks. I could get a full day's wear out of them without the color budging. But when a shadow is this crease proof, the trade-off is that you have to blend it quickly in the beginning before it sets. I like to use a synthetic brush to blend the color, rather than my finger, though if I was using it as an eyeliner - my finger would be a better smudge tool. Have you tried any other products from Mally? What do you recommend I try next from her brand?